"Lance and his team worked tirelessly to make sure that we had the best experience selling and buying our new home! We couldn’t be happier!" "Lance and his team are amazing. He sold our condo in two days for over asking price and found us a beautiful new home with everything we were looking for. Heed his advice and you will not be disappointed!" "I first used Lance and his group 4 years ago to find my condo, and when I wanted to sell it, the first person I thought of was Lance. He is super knowledgeable about the market and always responsive. He gave a marketing analysis of the landscape and we work through what want. My place was on the market for 5 days and it was sold. I highly recommend using Lance Kirshner whether you are buying or selling." "Lance Kirshner and his team have been wonderful to work with, and they made the process of selling my home very easy and were diligent, savvy and experienced to be able to get me where I wanted to be. The end result was a great experience and a very satisfied client in me. I cannot express how wonderful a job they did, so thanks to them for everything! They are very highly recommended." "I worked with Lance and his team to purchase my first home in November 2016. I could not have wished for a more positive experience. Lance was a solid advocate, and he helped me to understand all of the steps involved as a first-time buyer. His responsiveness and honesty made me feel comfortable with my decision, and I bought a fantastic home as a result. I highly recommend Lance and his team!" "Lance was fantastic throughout the entire process of purchasing our new home. He helped us with everything we would expect a broker to help us with but he also went above and beyond in so many other ways. Lance was proactive, knowledgable, great at figuring out how to make things work in an expedited manner, and always available to discuss any questions we had. Lance also has a wonderful team both at @properties as well as referrals for other professionals that helped us along in the process. I would give him six stars if that was an option! Thank you, Lance!" "Lance and his team are easy to work with and get the job done!" "As first-time homebuyers, we were nervous about the process of buying a home. We were referred to Lance from one of his happy clients, and from the second we sat down with Lance, we knew we would be working with a knowledgeable and talented team. Lance spent an hour explaining the entire process, providing resources, and getting a solid idea of what we were looking for in a home. Lance and his team met with us week after week until we found the perfect place, always making us feel like their most important clients. We counted on his expertise to make our decision, and because of his level of professionalism and consistency, we beat out 14 other offers. If you are considering buying a home in the Chicagoland area, there is only one team you should consider, Lance Kirshner and the Lake Group at @properties." "Lance and his team exceeded all expectations every step of the way on both our purchase and sale. They were extremely responsive and always professional. I truly felt like we were working with the best in the business. Both transactions went smoothly from start to finish. I will continue to recommend Lance and his team to family, friends, and colleagues without hesitation." "If you value a realtor who is responsive and knowledgeable of the market, Lance is your guy. Along with his associate, Nancy Gordon, we were able to confidently purchase our new home. He is affectionately known as the family realtor since he has closed 4 deals within our family already." "Lance was an amazing asset to have as I purchased my first home. He informed me of all the steps and even forwarned me of things he anticipated I would bring into question. He is quite knowledgeable of the process and more than a pleasure to work with." "Lance was helpful, professional and provided a personal touch from start to finish. A referral is a no-brainer." "This was my second time working with Lance, and first time working with him on the sell side of the real estate market. Lance and his team were very responsive to all of our questions, and they provided very helpful insight regarding steps we needed to take to stage and show our home in the best possible light for potential sellers. As first time home sellers, this was very important to us to make the process as smooth as possible. Lance and team were very patient and professional throughout, and solicited and listened to our thoughts throughout the sale. Thanks to Lance's knowledge of the market in terms of what to list our unit for, as well as his excellent marketing and negotiating skills, our condo was under contract in less than a week after listing, and we were very happy with the final sale price!" "Lance is a true professional. He knows Chicago and priced our home exactly right. We were 100% confident during the entire process that he and his team would advise us in the right direction every step of the way and we were able to sell the house very quickly." "Best broker in the business. He relayed the short timeline we were under to sell our condo and buy our home if we wanted to get it in this spring and helped us every step along the way to get there. Can't recommend Lance enough, superb!" "Lance and his team are fantastic. They are able to quickly assess what is needed to sell your home, help you prepare and are ready with buyers when it hits the market." "This is our second time buying or selling a house with Lance and if there is a third there is no question at all that he will be our first call. He is amazing to work with--always responsive, always prepared and always a step ahead. Anyone buying or selling a house in Chicago would be lucky to work with Lance and his team." "Lance and his team did an unbelievable job from beginning to end! From arranging to stage our home, to coordinating repairs to a seamless closing, every step was taken with care and incredible attention to detail. We had 10 showings in the first week and received multiple offers which resulted in selling our home above our list price. We are incredibly happy and will be working with Lance and his team to sell our next property!" "Lance and his team are "beast mode" when it comes to selling our property. They took a couple of weeks to prep then had a few days of organized showings and at the end of those showings we had several excellent offers already negotiated to their best prices. The whole process was decisive and efficient, we couldn't be happier with the end result." "When my husband and I began our search for our first home, we were given Lance's name from a friend. We were excited to have a place to start, however after meeting Lance, we knew we needed to look no further. From our first meeting on, Lance demonstrated he was clearly a highly knowledgeable and experienced Broker who truly cares about each of his clients. Every step of the way, Lance and his team were available to answer questions, schedule showings on a moment's notice, and ask questions for us to ensure we had all the information we needed before making an offer. Lance's team of professionals, including lenders, lawyers, and inspectors, worked closely together to make the entire process seamless! We would recommend Lance and his team to family, friends, and strangers alike and the next time we need a Broker, Lance will be it!" "Lance and his team were amazingly professional, responsive and helpful from start to finish!" "Lance and Nancy did an incredible job guiding us through the process of buying a home. As first-time buyers, we had many questions. We felt like Lance and Nancy were there for us every step of the way; from finding homes that fit our criteria to helping us through some last minute concerns before closing. I would definitely recommend them!" "We were very fortunate to have Lance's team on our side handling a condo sale. From his guidance on setting the place up for showings (which got us multiple offers within days of listing), using his access to listing channels, negotiating offers and contract terms, putting us in touch with a trusted attorney and a handyman, lightning quick responses to any and all questions, etc., etc., Lance's expertise and professionalism are at the absolute top. We are extremely pleased with how the transaction worked out, in large part due to Lance's involvement, and would recommend his team to anyone looking to buy or sell real estate." "I can't say enough good things about how I was treated by Lance and his staff. They stuck with me during a long process of having the previous owner upgrade the property. And were with me through the closing making sure everything went smoothly. I used the lawyer & inspection company he suggested, they were also top notch. And to my surprise I never had to sign anything saying I would stay with his agency for a specific period of time. He said if at any time I was not satisfied with his services, I could walk away. That tells you how confident he is with himself and his people. It's well deserved. I should give them six stars." "I cannot recommend Lance highly enough. He was extremely knowledgeable, easy to work with, honest, professional and never hesitated to go the extra mile for us. We worked with Lance for several years in determining when to put our place on the market, and the guidance he gave us was spot-on throughout. I would absolutely call Lance again for any real estate need. Thank you for the wonderful support in selling our Chicago condo." "Lance did a great job making us feel confident navigating the home buying process for our first purchase. We valued his sense of the market and valuation, responsiveness, negotiation skills, and proactive support." "Lance walked us through the entire home buying process and was always available for questions. He provided my wife and I honest thoughts on different homes we visited. It was wonderful to have him on our side as we purchased a gut rehab. He made sure things were getting done and our best interest was taken care of." "Would definitely recommend Lance and his team to others. Always responsive, accommodating and more than willing to explain the ins and outs of the home-buying process to a first-timer." "Lance was a pleasure to work with. He kept me updated on everything I needed to know and do, asked questions I hadn't even thought about and kept the entire buying process running smoothly." "Lance is a superb broker. He is extremely professional, organized, and always prompt. He is very conscious of his clients' time and certainly does not waste any of it. This has been our third real estate transaction with him and we would not hesitate to recommend him with the highest regard." "Lance Kirshner and his team worked tirelessly to get my Logan Square property sold quickly. Lance was incredibly valuable in properly pricing, staging, preparing and marketing the property to drive more than 65+ showings in a very short period. The final sales price was the highest per square foot ever recorded for like properties at the same address. I have and will continue to tell anyone that wants to quickly sell their property for the highest market price that Lance and his team are the best choice. The deal was done in 30 days with minimal effort and headaches on our end. This was a stress free deal, even with tenants in the unit. I highly recommend Lance and the LAKE team." "Always an excellent experience working with Lance and his team. He is extremely knowledgable about the Chicago market and sold our place before it even hit the market! Highly recommend!" "Lance is amazing. He knows exactly what you want even before you know what you want!" "Lance was wonderful to work with. He was kind, patient and resourceful. Every step ran smoothly because of Lance's knowledge of the industry and excellent staff!" "Lance helped my husband and I find and buy our dream home (a duplex down) in Lakeview in the summer of 2013. Simultaneously, he helped us sell our condo. Two weeks after we closed on the purchase of our house, and 2 weeks before we closed on the sale of our condo, my husband was in a horrific accident that has left him paralyzed from the chest down. Since he can no longer move his legs, a duplex down with its many stairs was no longer a viable option for us to live in. Lance worked tirelessly and went above and beyond what anyone could feasibly expect an agent, and even a friend, to do in order to sell our house as quickly and advantageously as possible. Through this horrible Chicago winter, he would drive to the property and check to make sure there were no pipe issues or water damage. He was always one step ahead- leaving a faucet dripping just a little bit a few days before the crazy negative temperatures hit - changing light bulbs we did not even know were out - replacing a beeping carbon monoxide monitor that neighbors informed us about. He spent countless hours marketing - including setting up photos and physical stagers - and showing our place. Honestly, he has spent more time at our house than we have and took care of it and its sale as if it were his own. Lance has the best interests of his clients in mind at all times, a rare quality in a real estate agent. I have and will continue to refer all of my family and friends to him. And, of course, he'll be helping us find our new wheelchair accessible dream home." "Lance Kirshner may very well be the hardest working real estate agent in Chicago. Not only did Lance help us undergo a lengthy process of finding the perfect investment building, he was also crucial in providing references for all sorts of contractors, inspectors, lawyers, etc. Lance is incredibly knowledgable about all types of properties and connected in all the right ways. We feel very fortunate to have worked with him." "Dear Lance, Thank you for your great job. We are your customers forever." "Lance and his team were absolutely amazing. From the very beginning, Lance had met with us to talk over details of how looking for and buying property works. They were very patient, accommodating, and always quick to respond to whatever questions or concerns we may have had. This was my first experience buying a home, and Lance and his team were so knowledgeable about little details, and so quick to get back to us. It took some time, but once we finally found the perfect place, Lance and his team assembled everyone to make the purchasing piece as smooth as possible. Could not have done it without him, and will definitely continue to work with Lance and his team in the future!" "Lance was great to work with. He was extremely helpful throughout the entire process and always made himself available to us. This was a new experience for us and Lance made us feel comfortable from beginning to end. We were looking in Chicago as well as the North & West suburbs, and Lance was knowledgeable in all areas. We will highly recommend Lance and @Properties to any friends/family in the market." "Lance and his team were fantastic! They handled everything that needed to happen to sell our condo and provided great advice when it came to negotiating with the multiple offers we received. I'm confident our condo would still be on the market if we were working with anyone else!" "I couldn't have asked anything more of a realtor. Lance helped us understand price points, dynamics within our neighborhood and sales trends, and the overall condo market. I really appreciate his willingness to be available for questions, both involved and mundane. He and his team always helped us to think through preparing our condo for showings, and walked us step by step through the sales process. Highly recommend Lance K."
"I can not say enough good things about Lance Kirshner. His knowledge of the Chicago real estate market is unrivaled. Lance carefully listened to my husband and my needs and wants. He understood our price point and directed us into appropriate neighborhoods. As first time home buyers, my husband and I had a barrage of questions. Lance quickly responded to all of our questions and concerns via email and phone, no matter what day of the week or what time it was. He made the home buying process a smooth one and I would not hesitate for a moment to recommend Lance and his amazing team to anyone." "It was truly a pleasure working with Lance. He was extremely knowledgeable and organized throughout the entire process. We couldn't have asked for more!!" "Lance is the consummate pro, and works tirelessly for his clients. He is aggressive in trying to sell your property and provides balanced insight if you are a buyer. He has a great deal of experience and his deep network make real estate transactions a breeze - highly recommend him." "Lance and his team were awesome and delivered quickly on everything that was discussed through the purchase and sale of my property." "Never used a real estate agent before, but assume that there isn't anyone better to work with. Had to ask people if it was normal to be getting this kind of service/help from Lance. Would/will highly recommend Lance to all of my friends/family." "Lance was incredible throughout the entire process. He went above and beyond, helping me clean up the mess created by my prior property management company, getting quotes and handling repairs to the property (finding an efficient handyman who gave a reasonable quote, then came in below the quoted price - when does THAT happen? ), dealing with the condominium's own difficult property management company, and addressing a few snafus and miscommunications along the way with the seller. I should have been stressed, especially as I was doing the sale from out-of-state (and have yet to even meet Lance in person), but Lance's calm, competent demeanor, and fact that I could always reach him when I had a question or concern, put me at ease. I cannot say enough good things about him. It is literally one of the best experiences I've had working with another person. And this, despite the fact that my condo was hardly a big-ticket item for him. Lance treated me as if my situation was the most important thing on his docket. I can't recommend him highly enough, and I can't thank him often enough. @Properties, you lucked out - and if you're smart, you'll never let Lance go." "Lance made the whole process easy and painless. I would highly recommend him and his team"
"As someone who had limited background on the home buying process, Lance made things extremely easy. I had heard horror stories from friends in the past, but everything went very smoothly with Lance and his team. I would recommend Lance to any of my friends looking to buy a home and look forward to working with him again in the future." "Lance is awesome!! Lance and his team are down to earth, honest, and trustworthy. I know my property was a small sale for Lance comparatively, but he and his team treated my family and I like we were shopping for a million dollar property. I didn't know much about real estate going into this process and I loved the fact that Lance set aside an hour to walk me through the entire process from start to finish. I'll be referring friends and family to Lance, and he'll get a call from me when I outgrow my condo." "Lance was a pleasure to work with. He provided very thoughtful advice throughout the process of selling our condo and was able to very effectively negotiate with the interested buying parties. We were extremely impressed with his responsiveness to any and all questions, as we always felt that no question was 'too small' or bothersome for Lance to answer. All-in-all, working with Lance was a great experience." "Lance knows Chicago like the back of his hand. The first place we saw was perfect for us, but slightly out of our price range. In talking with him, he said it was overpriced for the market by $50K, and a week later it was decreased by exactly that much. We were able to negotiate another $30K off the list price thanks to his hard nosed negotiating style. (If you are keeping score, that's $80K off original list!) Perfect match, can't wait to move in!" "Lance was wonderful in providing advice and guidance on when and how we should approach the selling of our condo. He facilitated all aspects of the sale and made the entire process very easy for us. I cannot be more pleased and grateful for finding us the right buyers and making the process so worry free. His professionalism and thoroughness are much appreciated. Thanks so much!" "Lance is the best realtor in Chicago! He is always very honest and, most importantly, communicative. He always responds immediately to any questions or concerns one might have. Who else would find you a one of kind house, win it in a multi-bid situation and sell your condo, before it is even listed on the market? Only Lance!" "We were beyond thrilled with the hard work put forward by our agent, Lance Kirshner. He was always available for questions and comments, extremely patient with our first-time homeowner questions, dedicated to finding us the perfect home, and approached every aspect of the process with professionalism. In addition, he was always friendly and fun to work with. We would recommend him to anyone interested and would definitely use him if the need arose in the future. We love our new home and cannot thank Lance enough for helping us find it!" "Lance was amazingly patient with us during our home search. He worked very diligently to seek out potential homes in our price range, and quickly set up showings for our review. We were very impressed with his knowledge and his ability to help answer all of our questions. I would highly recommend him to anyone who is looking for a home in the Chicago area." "Lance was completely engaged in my home search from our initial meeting until the closing ended. He paid extreme attention to detail, made sure all parties (attorney, mortgage broker, seller's agent and attorney, etc.) were working together, and reminded me of what I needed to do. He was very proactive and was very responsive to email and voicemail. I felt like Lance always had my best interest in mind. I would not hesitate to recommend Lance to a friend or colleague. I would not think twice in selecting Lance as an agent in the future." "Working with Lance on the sale of our home was a fantastic, stress-free experience. Lance was incredibly knowledgeable about the process, the state of the market, and the best strategies for selling our condo in the shortest time possible. Getting a full price offer on the first showing was a home run. Every question and request was handled in a timely manner. Any issue that arose in the process was quickly resolved with no stress to us. 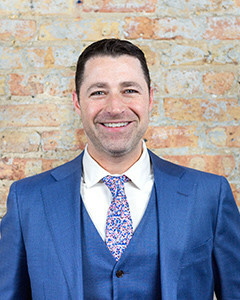 With his background in appraisals, he has an unparalleled knowledge of the Chicago market, and is an asset to buyers and sellers looking to have an elite buying or selling experience." "Lance went above and beyond throughout the entire process. He was always readily available through e-mail or phone calls, and got back to us very quickly with any questions or concerns we had. From signing the contract to closing the deal was a long 4 month process, but Lance was there every step of the way to help us through it. We can't thank him enough for all his hard work and commitment; we so appreciate it. Lance is one of the best realtors out there, and we will definitely refer him to future clients!" "I have worked with Lance on several transactions in the recent years and his knowledge as a real estate agent is top notch. He has a full understanding of the transaction process and isnt afraid to ask questions to the lender when needed rather than assume something from past experience. I find this to be critical in a constantly changing lending world. One area in particular where Lance excels relative to other agents is his thorough comprehensive knowledge of the Chicago market and each individual neighborhood. I have and will continue to refer potential clients to Lance." "Lance was a fantastic resource to us as first time buyers, walking us through the processes step by step, and ready to answer our questions anytime. We had a bit of a difficult purchase process, but with Lance's help, it went smoothly and we closed on time. Lance also was very helpful in recommending high quality resources for lenders, inspectors, and attorneys." "A friend recommended Lance, and with good reason. As a first time buyer, he took the time going through the buying process with me, and made it clear he was as dedicated to finding a place for me as I was. After we decided on a place, he stayed on top of the process from offer to closing. When the kinds of minor hiccups that occur in the buying process happened, Lance proved that he knew his stuff way better than most of the other realtors out there. I cannot recommend him enough, and have actually been recommending him to coworkers and friends already." "I would highly recommend Lance to anyone purchasing a home. Lances expertise with property values, building construction, current housing trends, and more make him a true professional in this business. Lance is extremely efficient and always quick to respond, which was key in my purchase, as we were the first to put in our offer on a short sale. Lance was very professional and respectful with everyone we worked with. I look forward to doing business with Lance again in the near future." "Lance is personable, professional, knowledgeable, and really put us at ease throughout the home-buying process. When we finally went out looking with a budget that was 100K less than originally planned, he was accommodating and did not try to over sell us. We ended up finding a place that first day, and while he was honest with what he thought about each place, he was never pushy. I did not expect home buying to be even a little bit fun, but Lance was so on top of his game that I had a blast and almost wished we had not found a great condo the first day. Cannot wait to buy the next one with him as our Realtor!" "Lance is a very professional and hard working broker, as well as very knowledgeable. Lance markets your property with professional pictures, brochures, newspaper ads, internet websites, etc. He did an amazing job of selling my moms property quickly!" "We had a nearly effortless experience finding a home with Lance as our realtor. As a former Realtormyself, and having met and worked with several along the way, I was especially impressed with Lanceslevel of professionalism. After just one day of looking at places, he knew us so well and could predictwhich property we liked and which we would not. This proved to be extremely helpful and efficient,as we didnt waste a lot of time seeing extra places. His referrals (attorney, inspector, lender) wereall exceptional, and he even suggested contractors for other services after our closing, which haveall worked out remarkably as well. Lance makes a commitment to helping you find the home of your dreams, and works tirelessly and endlessly to make this happen." "When we heard about Lance Kirshner from our friend, we knew this would be a good match for us. Our impression was immediately confirmed during the first contact: this person was professional, fast working, efficient, and friendly. His confidence that the property would sell in a short time encouraged us. Lance and his team gave us valuable advice on how to present our house to the market, and the results have proven the statistics. Lance Kirshner is a top agent in the real estate market." "We just completed our second home purchase with Lance as our realtor and he was able to a) sell our current place for full price on the first showing and b) find us a new fantastic place well under budget,with more features than we could imagine. The main things I would expect in a realtor are: someonewho maniacally knows the market, someone who treats your home search with the respect it deserves,someone who wont waste your time, and someone who you can trust to look out for your best interest.Lance exceeds those expectations on all accounts"
"Lance is an incredibly knowledgeable broker who will go the extra. Very professional, very well executed, we move into our dream place today! We couldnt be happier and have already recommended him to everyone we know who is even thinking about starting a real estate search. Hes a stand up, honest guy with integrity and kindness, a combination that is more rare than it should be in the real estate world." "Lance was a great resource. He walked us through the process upfront and made sure we were as prepared as. He was honest with his assessments of the properties, and helped us stay on course by making sure we managed our expectations to meet with the current market realities. During the closing period, Lance was always available to answer questions and provided thoughtful insight about the best way to handle various negotiations. He communicated effectively with the sellers' realtor to assure that all parties were on the same page and all milestones were completed in a timely manner. He is a professional, confident agent and helped make our first experience in the housing market a very positive one!" "Lance took the time to carefully explain the entire buying process to me as a first time buyer, including the pros and cons of all the types of property I was considering. It was clear from that first meeting through the closing process that Lance thoroughly knows his stuff. He was a strong advocate for me and a pleasure to work with." "We chose Lance as our real estate agent for his professionalism, and knowledge of the Chicago market. From our first phone call we were not disappointed. Lance truly listened to our wants and needs, and gave us sound advice which helped us to feel extremely comfortable. When Lance called to say a great property came on the market, we dropped everything to view it. We made an offer that night, as it was exactly what we envisioned. In addition to his vast knowledge, Lance never failed to take the time to answer our many questions. We will happily recommend Lance to anyone considering buying or selling a home." "Throughout the entire process Lance was professional, conscientious, and motivated. Although he is always on the go, he made us feel as if we were his only clients. Lances advice and guidance through this process was invaluable. His attention to detail, knowledge of the field, and no-pressure approach was greatly appreciated. We cant imagine going through this process with anyone but him." "In a forever-changing market it is truly a delight to work with a real estate agent like Lance Kirshner who understands the market so well. Though, it is his ability to relay these market details/changes to his clients in such a clear and honest way that really stands out to me as an amazing quality. Clients time and again speak to Lance's honesty and integrity that makes them feel so comfortable during a transaction. These are the qualities you need to look for in an exceptional agent." "Selling real estate can be a daunting task, however Lance Kirshner made our experience a pleasurable one. Lance actually showed up to all 42 of our showings, rain or shine, and in my eyes this shows not just motivation, but professionalism to a high degree. With 3 other condos in our building for sale, not to mention the thousands for sale in the area, Lance was still able to sell our unit over market value, and quickly! We truly believe without Lances expertise, no other Realtor would have been able to sell our condo in this market. We have the utmost trust in Lance and we know that he always has our best interest in mind. There times that I called Lance at 10:00PM with questions and I received an immediate response. Now that is dedication! We already have, and will continue to recommend Lance to our friends and family as he has become more than a Realtor to us, but also a friend through this experience." "Lances knowledge of the market, proactive approach, problem solving skills and responsiveness help to make his clients navigation of the real estate purchase and sale process as smooth as possible. Lance has a skill set that is unique among real estate agents because he is also an appraiser, and he is always willing to go the extra mile for his clients. Lance, above all, is a true asset to his clients, and is a consummate real estate professional." "Working with Lance was a great experience; as he did an excellent job of walking us through the home-buying process. Because of the time Lance spent working with us before we went out to look at properties in person, our search was about as painless as possible. Lance was friendly, personable, knowledgeable, and helpful. We would recommend Lance to any of our friends interested in purchasing or selling real estate. We will definitely use him as our Realtor for all our future real estate needs." "I cannot express my gratitude towards Lance Kirshner. Lances work selling my home, more than exceeded my expectations. From the moment I had my initial consultation with Lance, I knew he was the right Realtor for the job. Lance prepared and implemented an extensive marketing strategy that sold my place in far less time than the average home in my area. In addition, Lance went above and beyond the call of duty, and went as far as negotiating my contract during his wedding weekend. Through Lances hard work and determination, my sale was as least stressful as possible." "After our first appointment with Lance we knew he would be great at assisting us find our first home. Lance showed us an array of properties at different price points throughout the west and northwest suburbs. It was based on Lances advice that we were able to decide which property was the best investment for us. We were impressed with Lance throughout the negotiations, inspection, appraisal, and mortgage/loan process. Lances knowledge in regards to real estate appraisal proved to be invaluable in our transaction." "Working with Lance is always a pleasure. He is honest, easy to reach, and willing to go the extra mile. I have had the pleasure of working with him on several deals and look forward to doing so in the future." "I have known Lance professionally since 2005, when he found my wife and I our first Chicago apartment while working at Chicago Apartment Finders. Three years later he helped us find a condo on the citys northwest side. I found his professional manner to be attentive and thorough. He was incredibly helpful navigating the sea of lawyers and lenders. His knowledge of the citys neighborhoods is superlative and Ive always gotten the impression that Lance really enjoys what he does." "As a first time home buyer my knowledge of the buying process was limited. Fortunately Lance was able to guide me through the process and find the perfect place for me. He was always available for questions and provided me with honest opinions when I asked for them. I have recommended others to Lance and will continue to do so." "As a first time home buyer, I was nervous and had many questions when I first began looking at condominiums. However, @properties and my Realtor Lance Kirshner were so professional and experienced in what they do, that I immediately was at ease. Lance was very familiar with all aspects of the properties in my area and made it a point to educate me in the specifics regarding my home purchase. Once I settled on a place and made my offer, I was surprised at just how smooth and quickly the process was. My experience was exceptional, and I would recommend Lance and @properties to anyone looking to buy real estate." "Lance was wonderful in providing advice and guidance on when and how we should approach the selling of our condo. He facilitated all aspects of the sale and made the entire process very easy for us. I can't be more pleased and grateful for finding us the right buyers and making the process so worry free. His professionalism and thoroughness are much appreciated. Thanks so much!" "Filled out testimonial under survey for co-buyer Joe Obucina, same sentiments as then! Loved working with Lance, he was great!" "Lance is the best realtor in Chicago! He's always very honest and, most importantly, communicative. He always responds immediately to any questions or concerns one might have. Who else would find you a one of kind house, win it in a multi-bid situation and sell your condo, before it's even listed on the market? Only Lance!" "We were beyond thrilled with the hard work put forward by our agent, Lance Kirshner. He was always available for questions and comments, extremely patient with our first-time homeowner questions, dedicated to finding us the perfect home, and approached every aspect of the process with professionalism. In addition, he was always friendly and fun to work with. We would recommend him to anyone interested and would definitely use him if the need arose in the future. We love our new home and can't thank Lance enough for helping us find it!" "Lance Kirschner is simply the best. Lance will help you find the place you want, and then he'll help you navigate the complexities of a real estate transaction." "Lance knows Chicago like the back of his hand. The first place we saw was perfect for us, but slightly out of our price range. In talking with him, he said it was overpriced for the market by $50K, and a week later it was decreased by exactly that much. We were able to negotiate another $30K off the list price thanks to his hard nosed negotiating style. (If you kepeing score, that's $80K off original list!) Perfect match, can't wait to move in!" ""Lance had a great understanding of the Wicker Park/Bucktown market and the correct value for a home. I would highly recommend using Lance in the future, especially for first time buyers that want someone to walk through through the entire process."" "When we heard about the work of Lance Kirshner for our friend, we knew this would be a good match for us. Our impression was immediately confirmed during the first contact: this person was professional, fast working, efficient, and friendly. The communication with Mr. Kirshner continued to be perfectly comfortable for us, and his confidence that the property would sell in short time encouraged us. Mr. Kirshner and his team gave us valuable advice on how to present our house to the market, and the results have proven the statistics he presented.For us, Lance Kirshner is a top person in the real estate market." "Lance does it all, He knows all the blocks, schools, and neighborhoods and saved us time right out of the gate by coaching us what listings were worth seeing and which were too good to be true. He also knew what we wanted and added what ended up being the property we purchased to our "places to see" list without our help. He also negotiated some great terms for us and clearly had a sense for what the other agent would go for and what would get the deal done. During the closing process, he had all the contacts we needed as well - inspector, lawyer, etc. which made the final weeks go by without any unnecessary hassle. Very professional, very well executed, we move into our dream place today!" "Lance is an incredibly knowledgable broker who will go the extra mile to find the perfect place for you and help make it yours. We couldn't be happier and have already recommended him to everyone we know who is even thinking about starting a real estate search. He's a stand up, honest guy with integrity and kindness, a combination that is more rare than it should be in the real estate world." "Lance is very helpful, knowledgable and quickly returned my phone calls. His reccomdations for a house inspector and attorney were great. In fact I have already referred them to other people I know who are buying houses. I would highly recommend Lance." "Lance was a great resource for us as first-time home buyers. He walked us through the process upfront and made sure we were as prepared as possible to enter into the market. Once we started looking, he was honest with his assessments of how individual properties met the needs we had laid out, and helped us stay on course by making sure we managed our expectations to meet with the current market realities. During the closing period, Lance was always available to answer questions and provided thoughtful insight about the best way to handle various negotiations. He communicated effectively with the sellers' realtor to assure that all parties were on the same page and all milestones were completed in a timely manner. He is a professional, confident agent and helped make our first experience in the housing market a very positive one!" "Working with Lance on the sale of our home was a fantastic, stress-free experience. Lance was incredibly knowledgeable about the process, the state of the market, and the best strategies for selling our condo in the shortest time possible. Getting a full price offer on the first showing was a home run - we couldn't have asked for a better outcome.Every question and request was handled in a timely manner with a truly intelligent response. Any issue that arose in the process was quickly resolved with no stress to us.I would have no hesitation in recommending Lance to anyone who is looking for a condo, duplex, or single family home in Chicago. With his background in appraisals, he has an unparalleled knowledge of the Chicago market. He truly is an asset to buyers and sellers looking to have an elite buying or selling experience." "Lance made everything smooth and easy. He walked us through the process and made our first purchase a lot easier than everyone says home buying is suppose to be." "It is hard for me to write an unbiased review of Lance Krishner not only because we have been friends for a long time, but he has already successfully guided myself and many others into the world of real estate. WIth the purchase of our second home Lance delivered again and far exceeded the expectations of my wife who had previously worked as a realtor and her comments that she would never use another realtor again says it all. Lance's has all the important things when looking for a realtor: Excellent knowledge of the market and pricing, strong communication and follow up, great network of vendors that can help along the way, and most importantly he works tirelessly for his clients. It is no surprise he is among the top 5% of realtors in Chicago." "If referrals are the greatest compliment, then the greatest compliment I can give Lance is that I refer everybody looking for a broker to him." "Lance did a great job helping us find our first home. Lance's experience in the Chicago real estate market was invaluable in helping us close our purchase." "Lance is a very professional and hard working broker. He is very knowledgeable. He knows how to market your property. Lance markets your property with professional pictures, brochures, newspaper ads, the internet, etc. He did an amazing job of selling my mom's property quickly." "I would highly recommend Lance to anyone purchasing a home. Lance's expertise with property values, building construction, current housing trends, and more make him a true professional in this business. Lance is extremely efficient and always quick to respond, which was key in my purchase, as we were the first to put in our offer on a short sale. He also understood which properties were right for me. Among these quality assets, Lance was very professional and respectful with everyone we did business with. I look forward to doing business with Lance again in the near future. -Cory"